Governor Jerry Brown was born on April 7, 1938, and he’s currently 79-years-old. He was born in San Francisco, California. 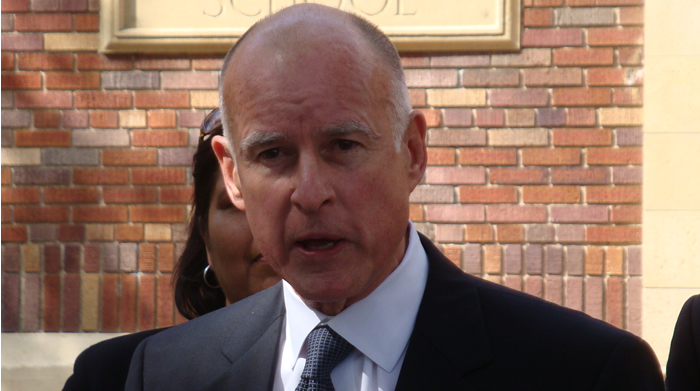 Jerry Brown has been the governor of California since 2011. He’s a member of the Democratic Party. Jerry Brown previously served as 34th governor of California from 1975 to 1983. He has served as the longest governor of California. Governor Jerry Brown currently has a 52 percent approval rate and a 27 percent disapproval rate according to a May Public Policy Institute of California survey. On January 9, 2007, he was the 31st attorney general of California. He was the 47th mayor of Oakland. From 1989 to 1991, he was the chairman of the California Democratic Party. From 1971 to 1975, he was the 24th secretary of state of California. During his political career, he has run for president of the United States three times. He ran for president of the United States in 1976, 1980 and 1992. Unfortunately, Jerry Brown was unsuccessful during his attempts. He’s currently discussing running for the next election in 2020. At one time, Jerry Brown was dating singer Linda Ronstadt. In 1990, he started dating Anne Gust, and the two became engaged in early 2005. The two wed on June 18, 2005. The ceremony was officiated by Senator Dianne Feinstein. Later on the day, the two had a second ceremony that was religious in the Roman Catholic Church in San Francisco. Jerry Brown and his wife, Anne, live in Oakland Hills, California, in a home that’s worth nearly two million dollars. Jerry Brown attended St. Ignatius High School, and he graduated in 1955. During his time in high school, he was a member of the California Cadet Corps. After he graduated high school, Jerry Brown studied at Santa Clara University. He left a year later to attend Sacred Heart Novitiate. He was interested in becoming a Catholic priest. Three years later, Jerry Brown left the school and enrolled at the University of California, Berkeley in 1960. He graduated the university with a Bachelor of Arts in Classics in 1961. He then went on to Yale Law School. He graduated from Yale with a Bachelor of Laws in 1964. After he graduated, he went to work as a law clerk for California Supreme Court Justice Matthew Tobriner. After he returned to California, he took the state bar exam. His first attempt was unsuccessful. He took it a second time and passed. He then moved to Los Angeles and worked for Tuttle & Taylor Law Firm.